Beyond / Hello at 12th and Sansom Streets hosted a cannabis conference on Jan. 17, 2019 before its grand opening on Jan. 24. Center City Philadelphia’s first medical marijuana dispensary is set to open its doors for business Thursday morning. Beyond/Hello, the retail arm of the multistate Franklin Group, is will be open at 9 a.m. at 12th and Sansom Streets. Patients and caregivers with valid medical marijuana cards issued by the state of Pennsylvania will be allowed to purchase cannabis flower, vaping oils and cartridges, tinctures, topical creams, and pills. The chain also operates a retail store in Bristol Township, in Bucks County. The Pennsylvania Department of Health awarded Beyond/Hello enough permits for a total of 12 shops across the state. The chain — which is based in Colorado — also plans to open a dispensary at Fifth and Spring Garden Streets later this year. 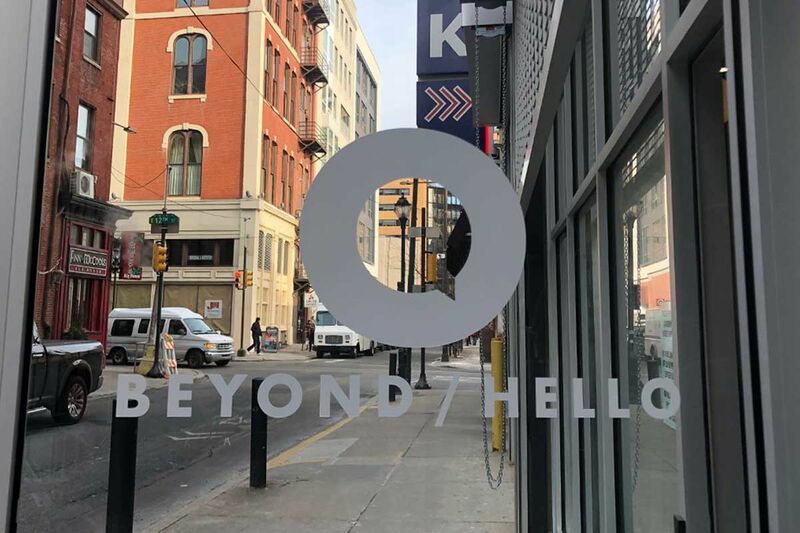 Beyond/Hello held a cannabis conference Jan. 17, 2019 at its dispensary at 12th and Sansom Streets. Here, a crowd peppers budtenders with questions. A cannabis conference at the dispensary, held last week during a day-long open house at Beyond/Hello’s Sansom Street property, drew hundreds of people interested in medical marijuana and the role it might play in health and wellness regimes. A sales menu will be posted on the Beyond/Hello website.